The National Committee’s Political Action Committee (PAC) is an influential, member-supported arm of the organization. For more than 30 years, the PAC has endorsed and/or provided financial support to more than one-thousand candidates, incumbents or challengers in House and Senate races for the general election cycles. 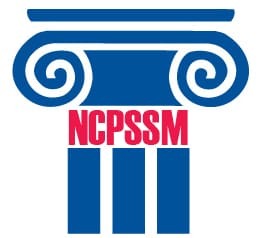 Any Democratic, Republican or Independent candidate who is seeking an endorsement or support from the National Committee PAC is asked to complete an NCPSSM candidate questionnaire and meet with the PAC interview team. An invitation to meet with the PAC is always extended to the opponent. The PAC Board, comprised of two members of the Board of Directors, the President/CEO, the PAC Director and Government Relations and Policy Director, meets weekly to review all requests for endorsements or financial support. Members of the PAC will often participate in endorsement events for candidates and incumbents in their home states/districts. The National Committee PAC also prepares a voting guide exclusively for its members to provide them with an accurate scorecard for how their Senators and Representative voted on seniors’ issues during the most recent legislative session. Only current NCPSSM members may contribute directly to the PAC. Endorsements by the National Committee to Preserve Social Security and Medicare PAC helped propel champions of American seniors to victory – and recapture the majority in the House of Representatives. Voters have put champions of Social Security and Medicare back in control of the U.S. House of Representatives for the first time in 8 years. Candidates who promised to protect and expand seniors’ earned benefits scored victories in races across the country, including many endorsed by the National Committee to Preserve Social Security and Medicare. Incumbent Congressman Bill Keating (D-MA) received a huge vote of confidence from the nonprofit National Committee to Preserve Social Security and Medicare. The seniors’ advocacy group has officially endorsed Rep. Keating for re-election in Massachusetts’ 9th Congressional district. Four new challengers running for Congress in Michigan, Florida, California, and Alabama have garnered the endorsement of the National Committee to Preserve Social Security and Medicare: Matt Morgan (MI-01); David Holden (FL-19); Josh Harder (CA-10); and Peter Joffrion (AL-05). View the list of candidates we endorse and support in your state. View a copy of questions we ask candidates.